Apple's iPhone XS beat out other rivals for 2018's best smartphone camera award from Digital Photography Review, notably Google's Pixel 3. While Digital Photography Review praised Pixel 3 for its ability to take still images, it awarded Apple first place due to "a more rounded feature set that includes class-leading video, reliable Auto Focus, wide color capture and HDR display of imagery, plus a range of improvements over the original iPhone X." Over the past two years, Google has poured massive investment into mobile digital imaging, particularly the custom Image Signal Processing silicon used in its Pixel phones. In selecting Pixel 3 as a runner-up, DP Review praised its Night Sight mode, which rapidly captures a series of shots and merges them using processing to "extract more detail, reduce noise, and remove the need for demosaicing." The site called it "the best smartphone camera for stills we've ever seen." However, mobile users don't just want to capture studio shots in poor lighting. Particularly since the release of iPhone 4 in 2010, Apple's has taken a comprehensive approach to make iPhone a compelling camera across a range of uses, from photos to video to Panorama, Slo-Mo, Time-Lapse, and the dual lens, depth-based Portrait imaging it introduced with iPhone 7 Plus. Specific to the new iPhone XS models, the site called out the "larger image sensor in the main camera for better dynamic range and low light performance, and a refined Portrait Mode. In a snub to traditional cameras, the XS allows you to choose your aperture after you shoot - all the way from F1.4 to F16. Cleverly, Apple has modeled the optical properties of real full-frame portrait lenses to accurately - and attractively - simulate 'real' bokeh." The site called Apple's new Smart HDR "perhaps the biggest improvement," noting that it "takes advantage of the faster processing capabilities of the phone to capture wider dynamic scenes in stills, panoramas, and even in video up to 4K/30p, making the HEVC 4K footage the best we've seen from a smartphone." It concluded, "pair all this with improved contrast on one of the best displays on the market, with accurate color management under the hood so you get the benefits of the wide gamut display without a loss in color accuracy, and you have one of the best smartphones available today." 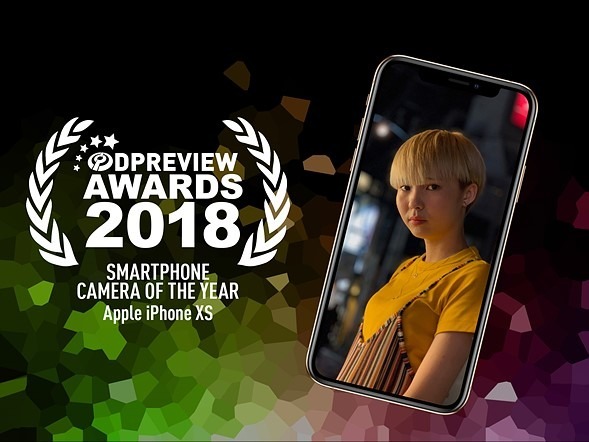 The photography site selected iPhone XS over other models in its shortlist, which included the Huawei Mate 20 Pro, Samsung Galaxy S9+ and Sony Xperia XZ3. The amount of money Google has invested in building propriety camera features for Pixel—including software but mostly custom silicon—raises a puzzling question for industry observers. Andreessen Horowitz analyst Benedict Evans tweeted, "What purpose do Google's Pixel phones serve?" Writing for The Verge Vlad Savov argued that "sales are a measure of sales, not importance," and implied that Google is spending incredible amounts of money on the vanity project despite minimal actual sales merely to get Android developers to follow its guidelines for elongated, notched screens, and so Android users will "articulate their dissatisfaction with other Android phones more directly." However, it's more reasonable to think that Google expected that winning over Android users with a premium priced, high-end phone would be easy. After all, Apple was doing it. That thinking is also evident in the fact that, after leaving Google, Android project founder Andy Rubin himself launched Essential with the same level of arrogant confidence, which continued right up until it completely crashed landed in failure-land. Google previously pursued nearly a decade of attempts at building tablet hardware, first introducing its original ideas for Honeycomb tablets that looked very little like Apple's iPad, then pursuing an ultra-low price tablet in partnership with cheap PC maker Asus, then switching to copy iPad so closely that its own tablet looked virtually identical, right down to the price. After failing to sell that, it gave up on Android tablets entirely. The company's phone strategy appears to have reached the third phase of that cycle, and without some huge influx of buyers to support future development, it appears that Google will have to give up on selling its own phones too. Given the very difficult market for smartphones, and in particular the rough time that even Samsung is having in trying to sell a premium priced Android phone, it looks like Google's work on phone hardware is turning in the same results as its work in tablets and TV set-top boxes.